At the moment, I really like to put the emphasize on my eyes when it comes to make-up with voluminous lashes and a bold eyeliner. 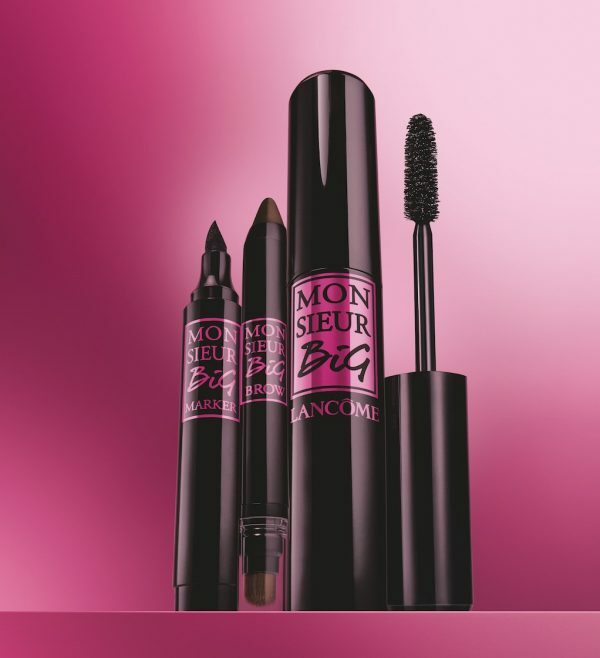 As if Lancôme read my mind, their newest product launch Monsieur Big is catering to this demand. A new mascara with a best kept secret! It is the equation of a big, soft brush and an ultra black, volumizing and long wearing formula that makes it different. Get ready to meet your match, and forget all the others! This BIG volume mascara delivers instant heart-stopping volume with up to 24 hour wear that lasts all night, and even the morning after, for your biggest, blackest, boldest lashes yet. …AFTER – 12x more volume than bare lashes. Monsieur Big is accompanied by a marker for the perfect line and a brow stick that is available in different shades. In stores now! I am sure that you have found THE ONE!